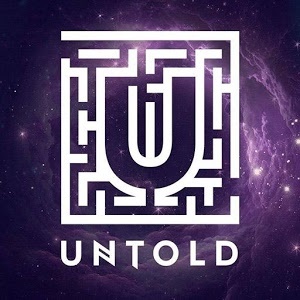 Voted Best Major European festival in 2015 the second edition of the 4-days Untold Festival in Romania outdid even the highest expectations closing out its 2016 edition in spectacular style. Held in Romania’s clubbing hotspot of Cluj-Napoca and spread across 7 stages in and around the spectacular Cluj Arena, Untold Festival brought four days of performances from the world’s best dance and pop acts. Over 240.000 fans witnessed an abundance of headlining artists ranging from EDM stars to top underground oriented artists such as Seth Troxler, Jamie Jones, John Digweed, Eats Everything, Dubfire and Sasha. After seriously making its mark with an even bigger and better second year, the festival’s world class line-up combined with a professional architecture and a strong brand experience puts Untold Festival on the radar of every festival enthusiast in the world. Untold Festival’s popularity is growing among foreign music lovers. Between 4-7 August, 30,000 traveled to Cluj-Napoca to attend the concerts held by an impressive line-up of world-famous DJs and bands. According to a statement released by the General Inspectorate for Immigration – Immigration Service of Cluj county, 30,000 foreigners traveled to Romania to attend the festival. The festival, currently in its second edition, attracted a crowd of 300,000 over four days. Untold Festival is the largest electronic music festival in Romania. For many, the highlight of the festival was a five-hour concert by Dutch DJ Armin van Buuren, which saw 40,000 people dance until sunrise. The festival ended with a pyrotechnics how and a video projection, suggesting that 2017 will see the third edition of the festival. The electronic music festival Untold, which will take place in Cluj-Napoca at the beginning of August, requires an investment of EUR 10 million, according to the organizers. Half of the amount has been secured from ticket sales, reports local News.ro. Organizers said that the budget grew from EUR 7 million last year. The higher general budget allowed organizers to invest more in the budget for artists. About 200 artists will perform at the festival this year. Some 320,000 people are expected to attend this year’s edition. Untold 2017 will take place between August 3-6 in downtown Cluj-Napoca. The lineup of this year’s edition includes Dutch DJs Afrojack and Armin Van Buuren, Swedish DJ duo Axwell and Ingrosso, Belgian/Greek DJ duo Dimitri Vegas & Like Mike, Dutch DJs Hardwell and Martin Garrix, and American musician Steve Aoki.